"They are dispersed and disaggregated, but there's leadership, there are fighters there, there are facilitators there," Gen. Joseph Votel reporters travels him to the Middle East for his farewell tour. Votel's comments emphasize testimony from the Director of National Intelligence Dan Coats before Congress, the assessment of President Donald Trump disagrees with the public. The statements, however, came as US back-fighters were in heavy battle in the last area of ​​Syria where ISIS still controlled the territory. 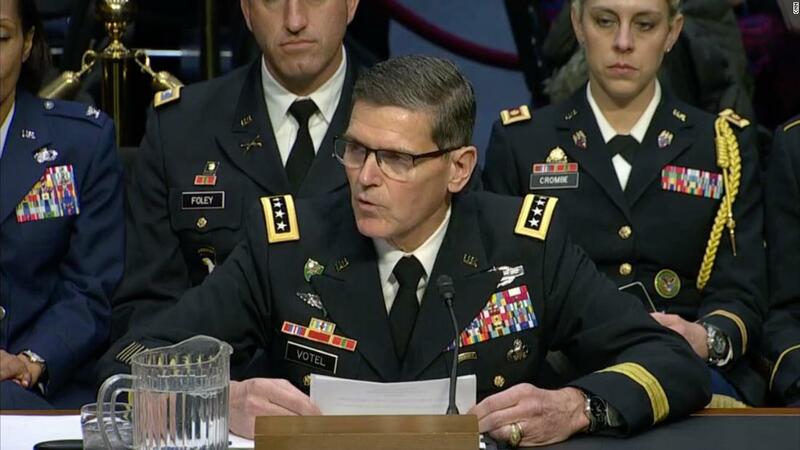 "I'm proud of the coalition of coalition forces we have on earth that helps our partners in the Democratic army in Syria what will be difficult fight," Votel said. "Urban terrain, high density of explosive hazards in the area, and the presence of displaced persons and others trying to leave the area." He added that in the last 24 hours, operations were continued in the Middle Euphrates Valley and are currently underway. American officials believe that dispersed fighters may be in the far east of the Syrian desert. "The orders of the President are very clear to us. We understand exactly what he taught, "Votel says. However, he brought the US military to continue to seek ways to maintain pressure on ISIS and support the SDF without a troop land within Syria. She refused to offer details on how to do it. These comments came when the Votel started a two-week exit tour before sank as US Central Command leader. His trip, which starts US plans to pull troops out of Syria, will include meetings with foreign leaders to thank them for their support. The Votel retired after 39 years in the US Army. CNN's Katie Bernard's report contributed to this report.